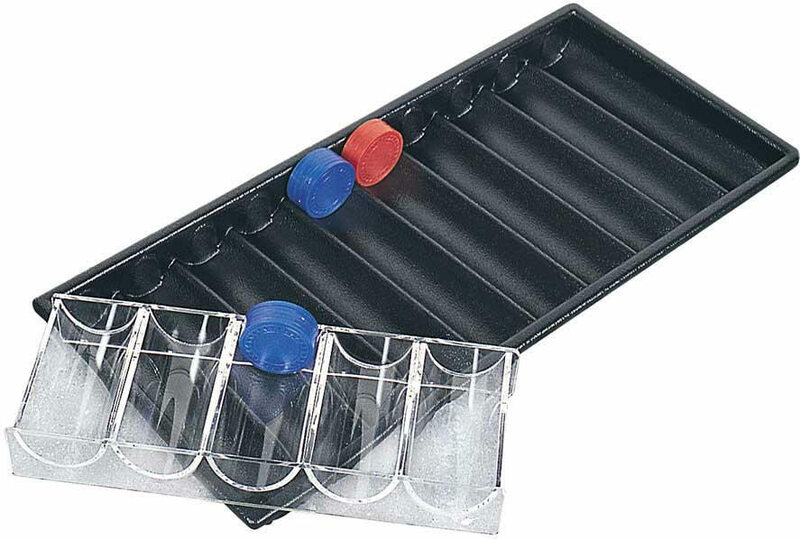 This black plastic chips tray holds up to 500 chips. Buy 1 for $17.68Buy 2 / Save $0.94!Buy 3 / Save $3.54! Size (inches): 17.32" X 1.18" X 7.87"